It is really an exciting task to buy a new action camera but you need to be careful also because you are not just sending to buy a body; it contains lots of features inside. In case if you love diving then you must go for a waterproof device or one that can be protected with external housing. Those who are cycling enthusiasts may need to record everything on a go so it is good to pick a device that can be easily mounted on chest or helmet. It must also offer stabilized video recording. Similarly, athletes can have so many requirements but the good news is that the latest cameras are also developed with all stunning features to provide satisfactory results. The guide below will help you to get best details about device as well as accessories so that you can have perfect camera for your adventure sports activities. If you are thinking to buy an action camera then you may probably need a support to hold it while shooting during adventurous activities. Action cameras are usually lighter in weight, smaller in size and have waterproof design but note that not all companies use to manufacture cameras with these specifications. 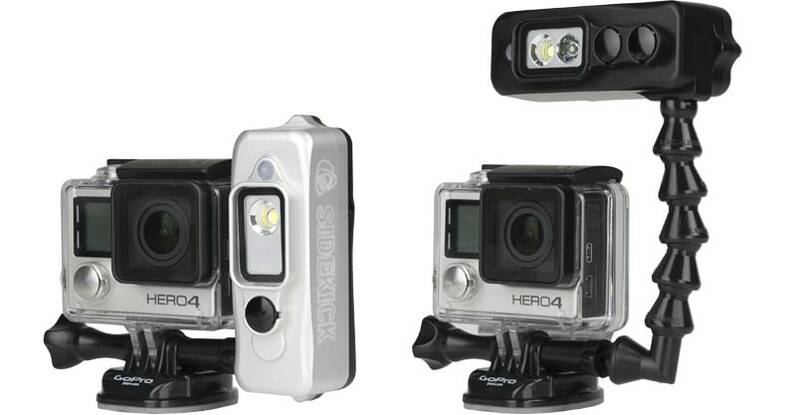 For example the GoPro camera shapes are completely different from that of Sony cameras. It is not possible to use same mount for both these devices to adjust them on suction cup or on helmet. 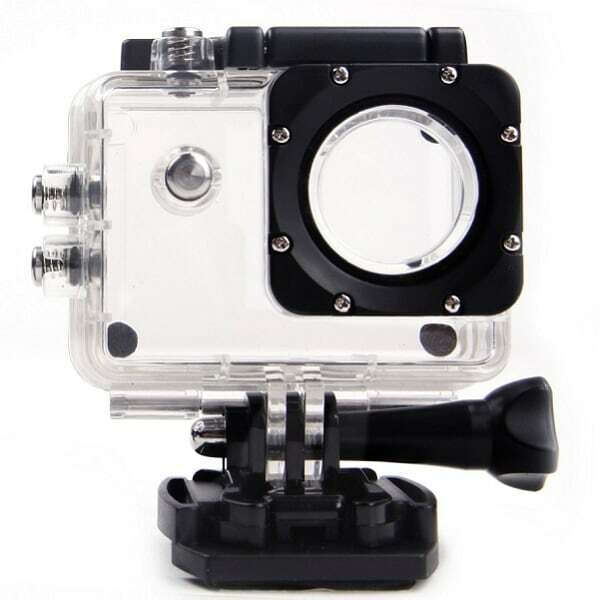 You can easily find so many third party accessories for action cameras that are available at different price ranges in market but the quality also varies. Even a camera mount with same design and shape can vary by great amount in terms of its material quality and price range. If you are buying a costly action camera then we suggest you to go for branded accessories only as they add safety to usage. Do not spend on cheaper models rather search for a company that you trust and know well. With few high quality cameras you will get head and hat mounts as additional accessories at the time of purchase but for few basic designs you may have to buy them separately. The general price range for mounts is above $10 and it varies as per your brand selection. 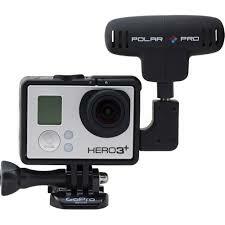 This is one of the most commonly available types of mounts and is more popular among action camera lovers. 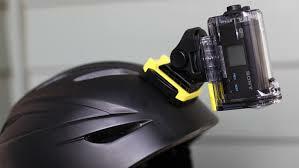 These mounts can assist users to mount camera from side, front, top or back of helmet. Such mounts are also developed for making easy connections with vented helmets and smooth surfaced, with this facility you can easily run the straps through different vents. The price range of helmet mounts usually starts at $10 but it increases with increase in complexity. Generally people wish to avoid the shakes that helmet and head mounts usually offer so they go for Chest mounts. 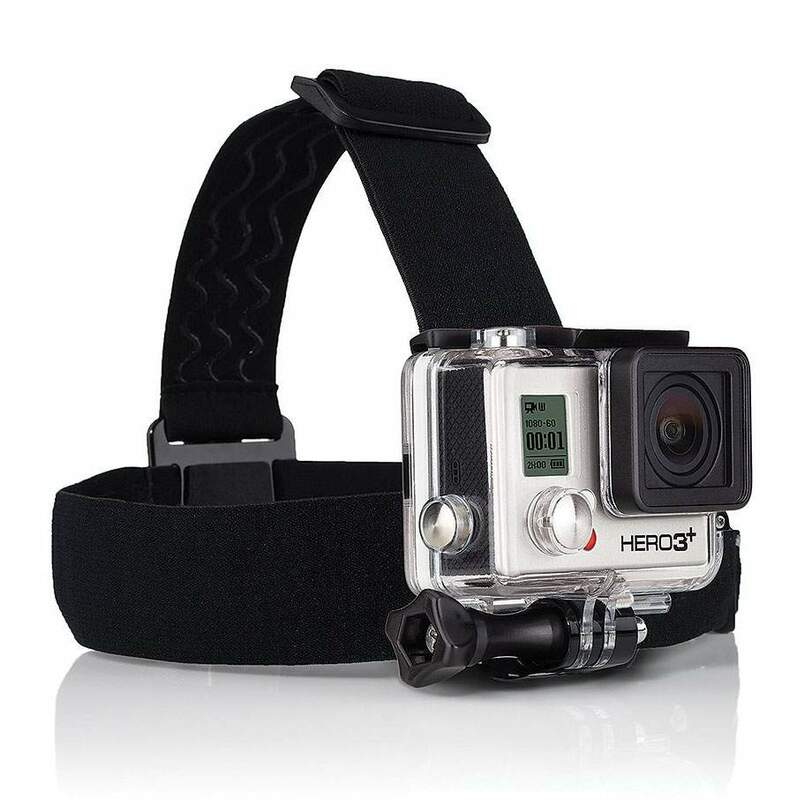 These mounts provide much better POV look and are specially recommended for skiing. Most of the top manufacturers like Sony, Contour and GoPro use to offer action camera mount at initial price range of $15. 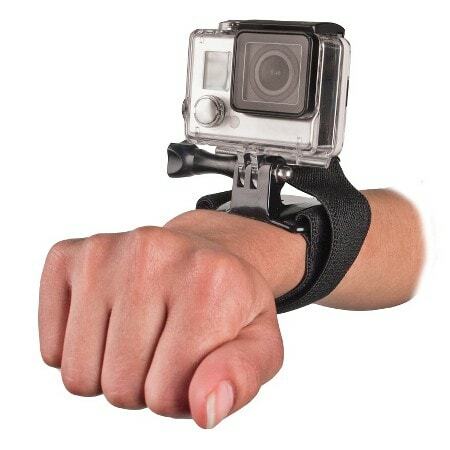 Wrist mounts are often preferred by divers but these days other users are also buying them. The price range for Wrist mounts starts from $15 and go much high with increasing quality. Such type of mounts can be easily screwed with bike handles to have shaken proof recording. These mounts start from a price range of $10 but while using these mounts you need to keep in mind the road quality so that shakes can be avoided otherwise it may affect your footage. When you buy a branded action camera then it comes with a standard battery unit, few device uses to have removable battery whereas other have fixed battery unit inside. For users, it is necessary to have information about how long life their battery will have with 4K shooting or with 1080p level. If you are planning to film for the whole day then you may need additional batteries for replacement if possible. Many third party sellers will offer you camera compatible batteries at cheap price range but lots of risks are involved in that. Few of these can serve you perfectly for long hours but others may start heating up the whole device with time. Prefer to check user reviews before investing on such batteries. Most of professionals love to take several memory cards on their tour so that they can easily switch while shooting. If you have better stock then you will never face trouble if a card fails at the time of shooting. It is even good to carry a mixture of big and small cards but ensure that you have bought them from trustworthy companies and they will never harm your camera. Note that there are so many big and small companies in market that are selling memory cards in bulk but the quality may vary by great extent. It is not necessary that your water resistant camera is waterproof too because few designs are not having such feature. If you need a waterproof camera then you may need additional waterproof housing for it. While buying such cameras you need to know that how deep it can go under water as few cameras are rated with underwater safety up to 60’ or others may have up to 30’. These waterproof designs also serve with great sand protection; whereas impact resistance is one more important element that you need to consider for protected camera design. The action cam lights usually come with so many function and size variations. Most of these are camera specific whereas others possess special conversion type adapters that can be easily attached to other devices. While buying such lights you must get enough details about their usage, power and battery life. Intova manufacturers use to provide classic dive lights with a price tag of $40 and it can be used with one handed operation. Qudos have developed lights for GoPro action camera and its price is around $120 whereas overall weight uses to be less than 150 grams. This accessory use to be waterproof up to the depth of 40 meters under water so it is rated to be ideal for scuba divers. The best news for buyers is that Qudos action cam light is compatible with most of non GoPro cameras if you have a simple conversion mount. So if you are a first time buyer then it will be a great offer for you. Most of the action camera models use to have poor sound quality same as common video cameras but in order to avail great results it is necessary to buy additional audio recording mechanism. Such devices can easily sync even with low quality audio inputs or external mics so that you can have perfect recording on the go. It also supports classic recording with stereo microphones that are designed with omni-directional style. Few cameras provide perfect support to audio signals even with external housing and the footage is always with crystal clear voice. Such designs are really suitable if you wish to choose the live streaming option as you will be able to upload stunning videos without pre-processing. Those who wish to shoot videos under water with perfect colour tone must choose a camera with advanced filter addition. When you are recording a shoot under water up to depth of 3 meters or 9 feet then it is sufficient to have better white balance. On the other side if you have to go below 9 feet then complete colour filters become essential. When you use filters then it is possible to have much better variations over foreground and background colours. These filters assist in improved colour distribution for recorded footage and produce a richer blue at background. This is definitely an important aesthetic when you are shooting under water. The remote kit helps users to navigate things perfectly and smoothly even in tough situations. But with the high cost (such as GoPro remote kit, which demands $79.99), we truly recommend you to use the mobile apps offered by the brands. Sony, Contour, and GoPro have mobile apps that allow you to control the camera and monitor the video. And most of the camera apps are free.